At Jovian Technologies, we’re creating the industry’s most adaptive enterprise platform that has the intelligence to help you grow your business, enhance your visibility, integrate your data, processes, people, and business systems all within the our flexible platform. PLM365, Jovian’s innovative Product Lifecycle Management tool, expedites product innovation. It helps manufacturing companies accomplish their engineering, manufacturing, collaboration, and business processes more effectively, in less time, and at a lower cost. Built on an adaptive learning platform, PLM365 is making Product Lifecycle Management simpler and providing Small-Medium businesses with the software as a service they need. One of the most essential professional information management systems, Product Lifecycle Management (PLM) tools help businesses integrate product data, processes, business systems, and people in an extended and collaborative enterprise. With PLM businesses are able to bring their products and services to market faster, taking a larger piece of the market share of the new products introduced, and increase and extend their profitability overall. In essence, PLM tools can make or break the success of a business by significantly contributing to the bottom line. SMBs can’t afford to pay for the enterprise-grade software sold to bigger companies at a premium price, and the packages within their price range are inadequate and nearly obsolete. Frustrated with their lack of choices, many SMBs don’t pick any PLM tool, and instead try to succeed without this vital business resource. Unfortunately, that solution rarely works either, and these SMBs, which are vital to local communities and local economies, are forced to close their doors. If only they had access to the resources they need, they could have a chance to succeed. There is a huge void in the market for a PLM tool aimed at SMB, one that is technologically sophisticated, adaptable, scalable, and very cost effective. But where there is a will, there is a way, and in this case, the way is Jovian Technologies, Inc.
At Jovian Technologies, we’ve created a PLM tool that can meet the needs of SMBs at a price they can afford. A versatile and flexible platform, PLM365 was created to help manufacturing customers complete their engineering, manufacturing, collaborative, and enterprise business processes faster, more efficiently, and more cost effectively. Product Lifecycle Management made simple, PLM 365 is the business solution of the future. 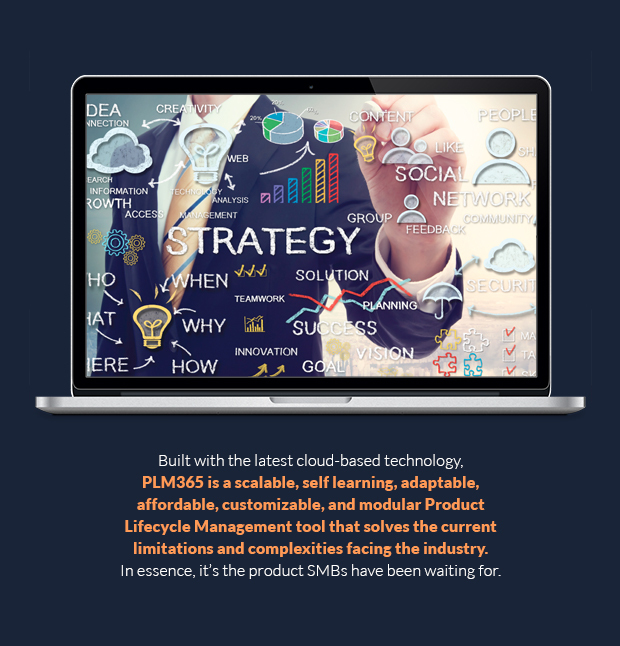 Jovian’s flagship SaaS product, PLM365 is revolutionizing Product Lifecycle Management by meeting the current solution’s limitations and complexities head-on. Adaptive and Self learning, our simple yet forward thinking PLM solution is built on a flexible platform that makes it easy for manufacturing companies to operate more quickly. more efficiently, and more cost effectively. With Jovian’s easy-to-use platform, users can increase productivity by 40%. Our simple, personalized user interface-based navigation and configuration modeler don’t require any programming, which in turn cuts deployment costs in half. In addition, PLM365’s Build and Extend applications can reduce Total Cost Ownership (TCO) by up to 60%. The nightmare fighting with a legacy system is finally over. PLM365 was created with one goal in mind: to help empower business users do things differently, and do things better. That’s why our platform was built on the principle of adaptive scaling. By providing SMBs with a flexible tool that can quickly change and grow as they do, PLM365 helps reduce a business’s dependence on IT support, lowers related costs, and increases productivity by 30%. Our PLM’s quick and easy product mergers are so efficient, they save years of data consolidation effort and costs. That means saving SMBs valuable time and money. In addition, PLM356’s AI App’s widget driven schema standardization significantly lowers the costs of standardization by over 50%. One of PLM365’s greatest assets is its intelligent ability to consolidate data quickly and efficiently. Capable of combining heterogeneous data sets from various sources into one cohesive source, PLM365 can link disparate data sets to help increase a company’s degree of visibility into their processes. Finally, SMBs have a tool that can provide them with real-time insights they can use to make actionable decisions about their products and their lifecycles. PLM365 comes with state of the art graphical visualization of data, providing users a graphical view of all data and processes at all time. Proprietary algorithms help maintain all traceability at the most granular level, thereby providing business users unique insights and comprehensive analytics at all time. With PLM365, users have the ability to toggle between an IP on-premise and an on-demand cloud. This also creates an opportunity for selective collaboration with extended teams, both in-house and off-premise. PLM365 means your products, processes, data, and information are extended, flexible, and protected, all at a lower cost than ever before. Since its founding in May2016, Jovian Technologies has already made huge strides towards accomplishing our goal of disrupting the traditional and currently ineffectual Product Lifecycle Management space. The development of our flagship product, PLM365, is ongoing, and we’ve filed a provisional patent. Jovian is ready to provide demos of PLM365 to early adapter clients, and we’re thrilled to release a Beta(R1) product in October 2017 to early adaptor customers. The team at Jovian is excited with the progress of our cutting-edge SaaS product, but it’s becoming clear that we aren’t the only ones. Though our official launch is slated for August 2017, we already have pre-orders from two clients, for 75 seats and 150 seats respectively. That means Jovian has pre-sold 225 user licenses, and our product isn’t even on the market yet. We have also previously raised $255,000 of funding till date. Big name clients, including Fortune 500 companies in Lifesciences, Automotive, Aerospace, Industrial Products, Food & Beverage, Apparel & Furniture verticals have also expressed interest in our product. Currently, we have NDA’s in place with most of these companies for a pilot and evaluation program of our Beta release and the list is only growing. Jovian Technologies also plans to develop an additional vertical specialized application for our platform in the areas of IoT, Healthcare, Education, and Legacy Application Migrations. This updated platform will also enable industry experts and consulting firms to develop their own pointed applications and solutions focused on their expertise and extend it to their clients. Want to learn more about PLM365 and what they have planned for the future? Make sure to request access to the Business Plan tab of the profile to find out how you can get involved! Together, business partners Tarun Philar and Sujit Goswami have over 40 years of in-depth industry experience. IT professionals and innovative entrepreneurs, this dynamic duo has the education, the expertise, and the hands-on experience they need to truly disrupt the traditional PLM product space. 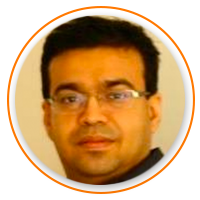 Tarun Philar | Co-founder & CEO | A graduate of the prestigious Kellogg Management Program and the recipient of a BE in Mechanical Engineering from NITK, Tarun has over 21 years of industry experience. Prior to launching Jovian, he was CTO & Manufacturing vertical head at SQS, a $350M global IT company. He has also held leading roles at L&T, IBM, and Dassault Systemes. 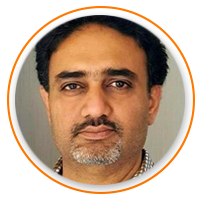 Sujit Goswami | Co-Founder & President | Another industry professional, Sujit has worked in IT for over 20 years. He has a BE in Mechanical Engineering and a post graduation in Information Technology. Before co-founding Jovian, he was the PLM director for Americas at L&T. Earlier in his career, he had leading roles at Capgemini and Wipro, and played instrumental role at GE Global Research, where he worked in PLM valuations and applicability across GE businesses.